Instacart Service Charge: Do You Know What You're Paying For? Many users and employees of Instacart are outraged after finding out what the service fee is really for. NBC 6 Reporter Sasha Jones explains. Many of us have crossed grocery shopping off our to-do lists, and we're hiring someone else to do it for us. But some say a popular grocery delivery service is misleading consumers and cheating its employees. Instacart is a popular grocery shopping and delivery service. There's a fee to use it, which is clearly disclosed. But there's another fee many consumers pay, and they say Instacart isn't so upfront about that one. Georgia Pine orders her groceries using the Instacart app on her iPad. And a few hours later, they’re delivered to her doorstep. It's a service she likes and relies on. But she's also ticked off at Instacart. "I really feel they need to value both their employees and customers a little more,” Pine said. The issue was a 10 percent “service fee" added at check-out. Pine assumed it was a tip for the shoppers and delivery people. "People who do read that and see it, say, ‘oh that's the tip,’” she said. But it's not. Instacart employees told Pine they don't see that money. "They were angry, because they weren't getting tips,” she said. As NBC Los Angeles reported, Instacart employees complained, too. "We've all been wondering where that money's going. Because we're not getting it," Sergio Betancourt Jr., an Instacart delivery person. 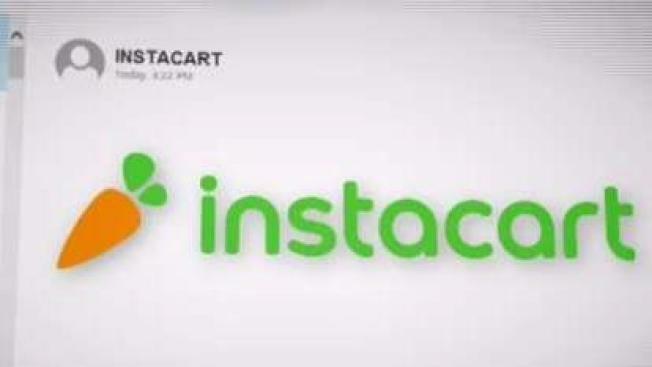 NBC LA wanted to talk to Instacart on camera, but after repeated requests, the company wouldn't schedule an interview. Attorney Julie Erickson has an issue with that. She filed a class action lawsuit against Instacart, saying the company was misleading consumers, who assume the service fee is going to the shopper who's picking up their groceries. "What they thought they were leaving as a tip was actually not reaching the shopper, it was going in Instacart's pocket,” Erickson said. Erickson reached a settlement with Instacart. The company agreed to modify its website and app — making it clear to consumers where the service fee money goes. "The goal is two-fold. First, hopefully the shoppers will see their take home income go back up,” she said. “And two, the customers know where their money is going." Pine is happy to see the changes. "They need to explain to their customers — exactly where this 10 percent is going. And to their employees,” she said. Instacart says it has completely changed its service fee and tipping functions on its website and smartphone app on Tuesday, April 24. Instacart now suggests a default 5 percent tip for the shopper. You can change the tip amount at checkout or up to three days after delivery. The entire tip goes to the shopper who delivers your order. Secondly, Instacart has changed the service fee from 10 percent to 5 percent and moved it from waivable to fixed. The company said it’s excited about this change because it believes it’s a better experience for the Instacart community.